Charcoal / Wood - Engineering Sciences & Technology Inc. This aisle hosts cooking fuels such as wood chunks, smoking chips, and charcoal. These items often make the difference between a great cook and a fantastic cook. 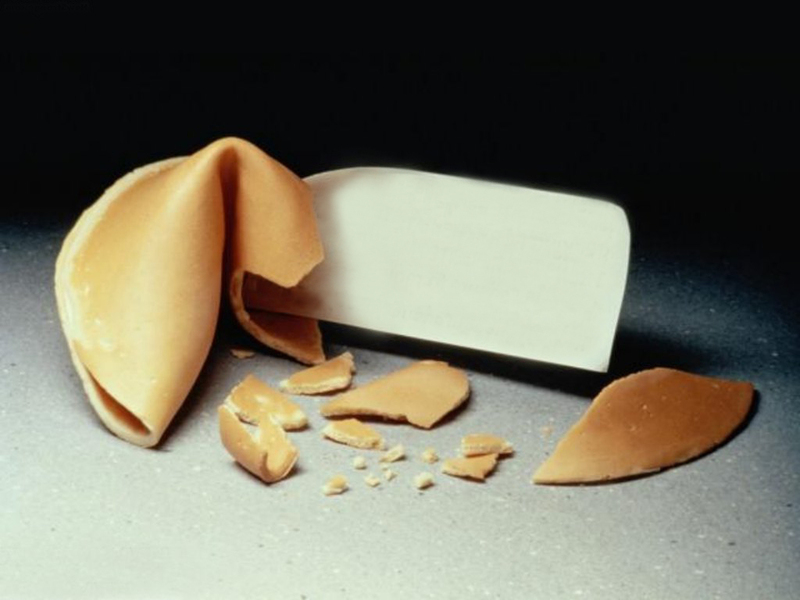 The different flavors add a different taste to the finished product so we would like to invite you to try each flavor and determine which you like the best. These apple smoking chips bring something new to the grill and to your menu, giving your foods a delicate and sweet flavor and aroma they won't get any other way. 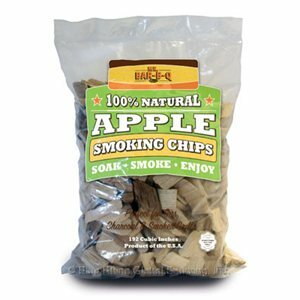 Apple smoking chips are best suited for use with chicken, ribs, pork, fish, and vegetables. Use them in smokers or on the grill and make one-of-a-kind barbequed items that your friends and customers won't be able to resist! Soak two handfuls of wood chips in water for 15 minutes. Remove cooking grid. Stack charcoal in pyramid and light. When charcoal is ashed over, drain chips and scatter over hot coals. Chips will begin to smoke immediately. Replace cooking grid and start grilling. Cook with: chicken, ribs, pork, fish, game, lamb, turkey, vegetables "Life's Good When You're Cooikn Wit' Gus"
These cherry smoking chips bring something new to the grill and to your menu, giving your foods a delicate and sweet flavor and aroma they won't get any other way. Cherry smoking chips are best suited for use with chicken, ribs, pork, fish, and turkey. 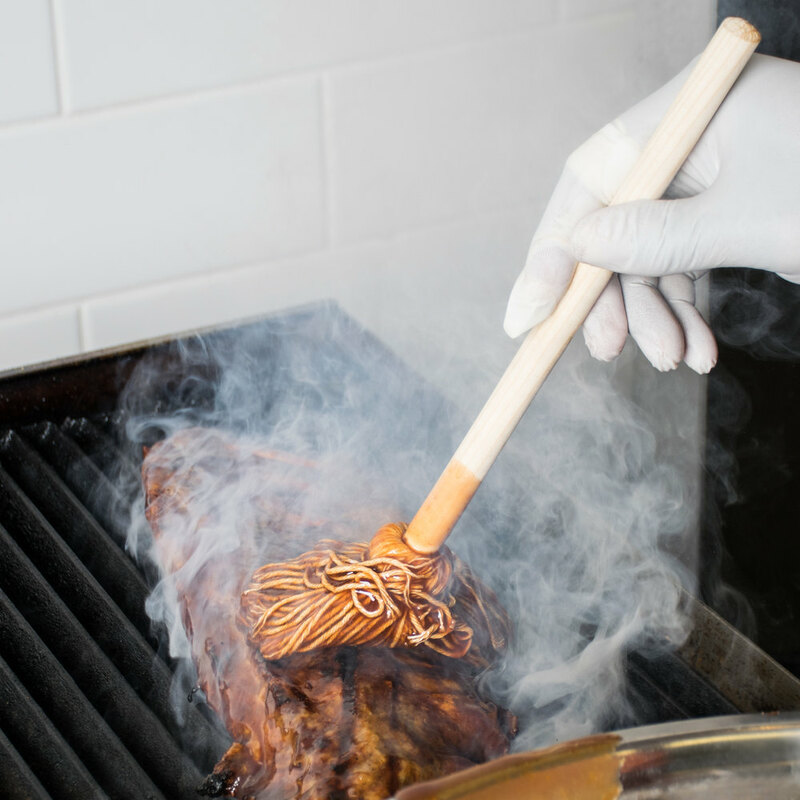 Use them in smokers or on the grill and make one-of-a-kind barbequed items that your friends and customers won't be able to resist! Soak two handfuls of wood chips in water for 15 minutes. Remove cooking grid. Stack charcoal in pyramid and light. When charcoal is ashed over, drain chips and scatter over hot coals. Chips will begin to smoke immediately. Replace cooking grid and start grilling. Cook with: chicken, ribs, pork, fish, and turkey "Life's Good When You're Cooikn Wit' Gus"
These pecan smoking chips bring something new to the grill and to your menu, giving your foods a delicate and sweet flavor and aroma they won't get any other way. Pecan smoking chips are best suited for use with chicken, ribs, pork, fish, and turkey. Use them in smokers or on the grill and make one-of-a-kind barbequed items that your friends and customers won't be able to resist! Soak two handfuls of wood chips in water for 15 minutes. Remove cooking grid. Stack charcoal in pyramid and light. When charcoal is ashed over, drain chips and scatter over hot coals. Chips will begin to smoke immediately. Replace cooking grid and start grilling. 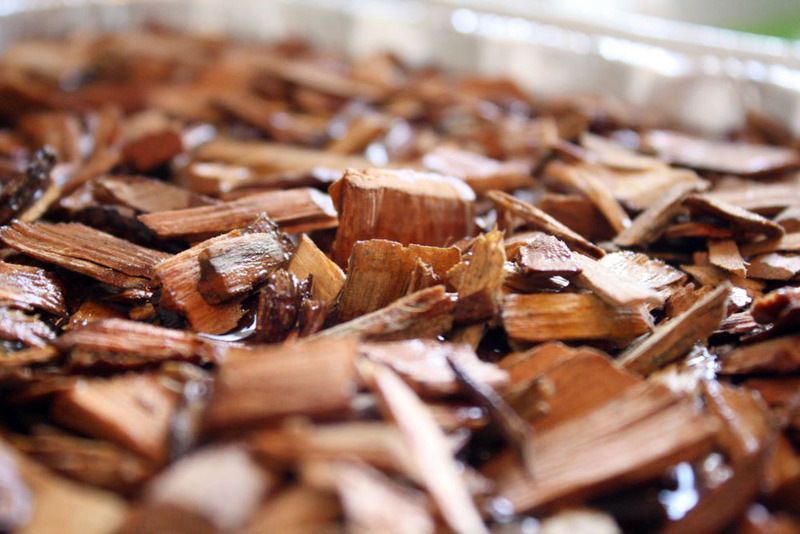 Cook with: chicken, ribs, pork, fish, and turkey "Life's Good When You're Cooikn Wit' Gus"
These mesquite wood chips have been hand-selected, graded, and fully seasoned to ensure you get the most flavorful product possible with an even, consistent burn. Mesquite wood is known for it's high heat and these mesquite chips live up to that reputation. These mesquite chips light quickly and easily to make sure that you don't have to waste time struggling to get your outdoor grill lit. Once the grill is lit, these mesquite chips produce a pleasing smoky aroma that is sure to stimulate the appetites of your patrons. Soak before using to unleash that Mesquite Flavor!!!!! 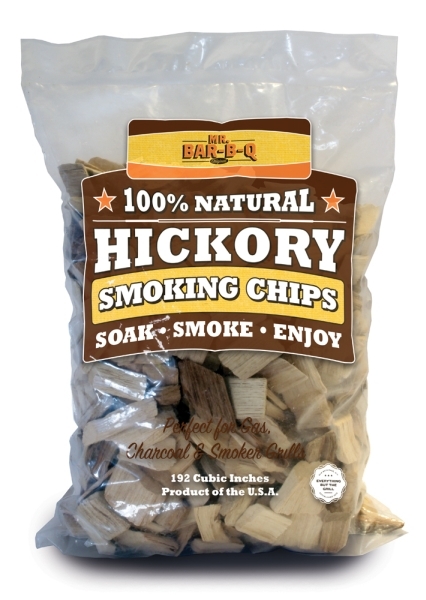 These hickory wood chips have been hand-selected, graded, and fully seasoned to ensure you get the most flavorful product possible with an even, consistent burn. Mesquite wood is known for it's high heat and these mesquite chips live up to that reputation. These mesquite chips light quickly and easily to make sure that you don't have to waste time struggling to get your outdoor grill lit. Once the grill is lit, these mesquite chips produce a pleasing smoky aroma that is sure to stimulate the appetites of your patrons. Soak before using to unleash that Hickory Flavor!!!!! Bucket perfectly suited for holding those cleaned rib, wing, or any other type of bones. Toss your bones into this bucket instead of over your shoulder when you're in a more civilized environment. This bucket is guaranteed for life and comes with a 100% satisfaction guarantee. This product is metal and 100% machine washable and not to mention, 100% made in America !!!!. Heavy gauge, twelve inch wire frame used to move lit charcoal and wood around in the grill to where you want it. 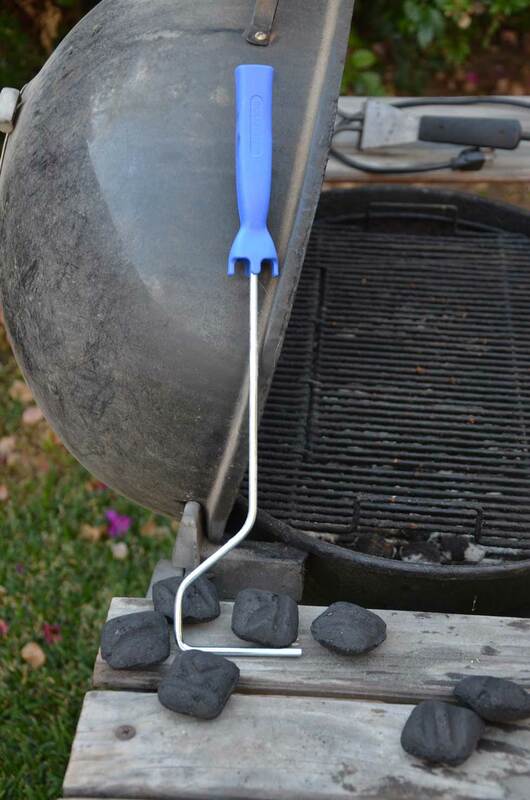 No more looking for sticks, wire hangers, etc for something to spread those burning coals around your cooker once they are ready. If you're deep frying a turkey or something like it, the 16 inch long handle allows you to stay back away from the hot grease and it does not transfer heat. Great for lowering baskets into potentially spattering hot grease if you're deep frying turkeys or chickens or anything you drop in a large pot of hot and bubbling oil !!!! 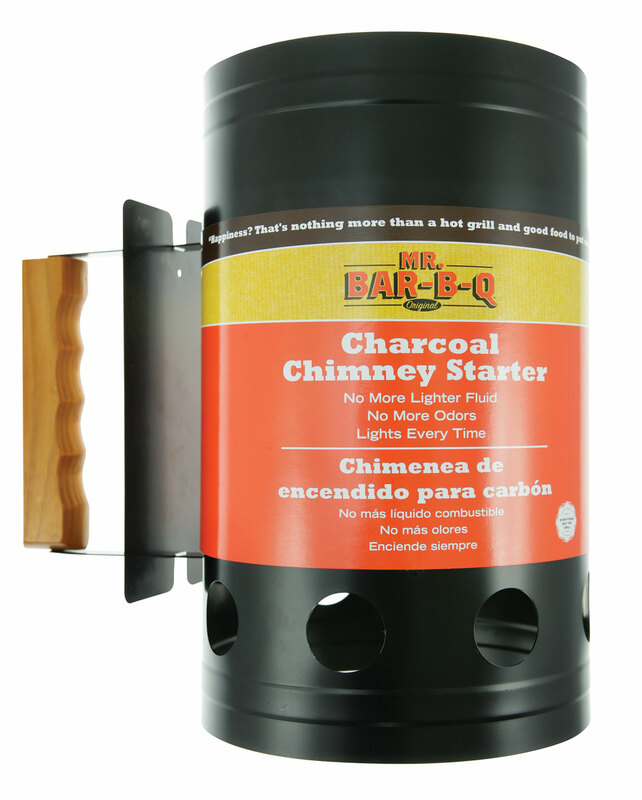 Chimney BBQ Charcoal starter for lighting coal and wood outside the grill.This combination allows you to light your coal faster inside or outside the grill. Made with sturdy metal and a handle you can grip with purpose. We love using this combination and believe you will too !!!! Add charcoal briquettes into the top of the starter, light and allow to heat until ready for cooking, then drop the hot briquettes into your charcoal grill and start cooking. This charcoal accessory lights every time, eliminating the use of lighter fluid and odor it produces. Built with a stay cool wooden handle. Dimensions: 12"L x 12"W x 12"H. We are available to answer any questions you may have about our products. Electric charcoal starter for getting your grill going. With this unit all you need to do is cover it with charcoal and plug it in. There is not after taste from the use of lighter fluid or flaming embers from burning paper. And this unit is made in America.